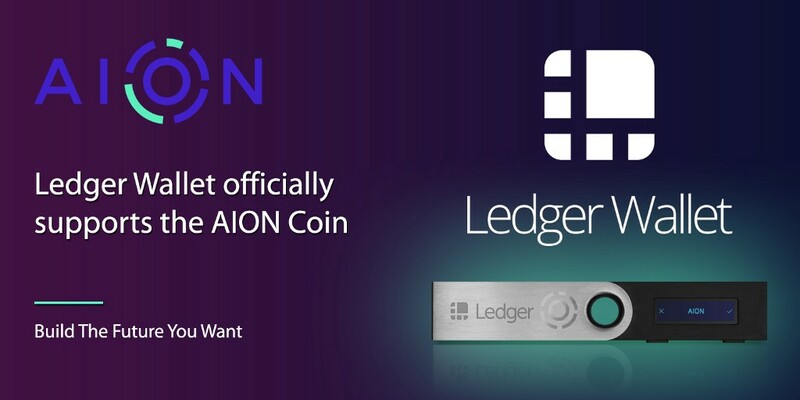 Aion is pleased to announce that the AION Coin is now supported on Ledger Nano S. AION Coin holders can benefit from the added security of holding their cryptographic private keys in Ledger’s industry-leading solutions. We are excited that Ledger can now be used to store your AION Coins during our Token Swap. Founded in 2014, Ledger is a leader in security and infrastructure solutions for cryptocurrencies and blockchain applications. Headquartered in Paris, Vierzon and San Francisco, Ledger has a team of over 130 professionals developing a variety of products and services to safeguard cryptocurrency assets for individuals and companies — including the Ledger hardware wallets line sold in 165 countries. They aim at securing the new disruptive class of crypto assets: Financial assets like cryptocurrencies or Initial Coin Offerings (ICOs), Data assets like sensors, Internet of Things (IoT) devices or machine to machine, and Digital identities like second-factor authentication or passwordless login. Download the Aion Desktop Wallet with Ledger support here. Instructions to download the Aion app onto Ledger Nano here. Please sign up for our Aion Newsletter to receive up to date information & announcements by registering here. AION Coin now supported on Ledger Devices was originally published in Aion | Blog on Medium, where people are continuing the conversation by highlighting and responding to this story.